Superstar Brad Paisley announces the release of “Last Time For Everything” as his new single, music video and instant grat track, as the countdown continues to the launch of his 11th studio album LOVE AND WAR on April 21. The new Arista Nashville single, co-written by Brad Paisley, Smith Ahnquist, Brent Anderson, Chris DuBois and Mike Ryan, shipped to country radio today. The official radio impact date is Monday, April 24. For the first time, Paisley’s music video of “Last Time For Everything” is available to stream HERE. This is the second clip in the six music video series in which the entertainer is partnering with Facebook exclusively. “selfie#theinternetisforever” was the first video in the socially sourced sequence. 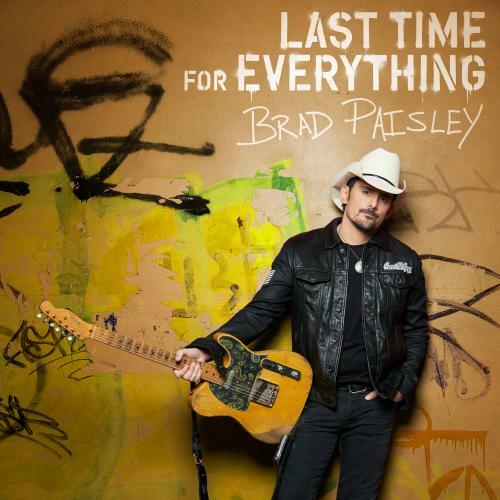 As an added bonus, fans who pre-order Brad Paisley’s LOVE AND WAR will receive “Last Time For Everything” instantly. They will also receive three additional songs, the smash “Today” and album cuts “selfie#theinternetisforever” and “Heaven South.” Brad co-wrote all of the 15 tracks on LOVE AND WAR, and it is available for pre-order now HERE. Pre-save LOVE AND WAR on Spotify HERE.